Ahhh, natural fiber. 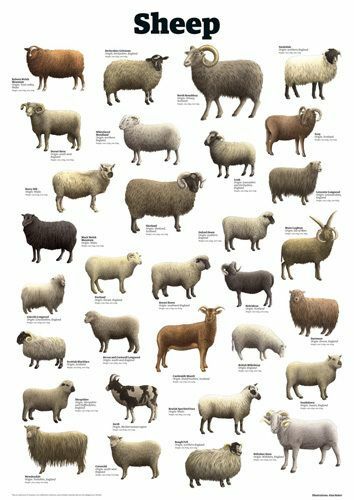 Is there anything better than seeing the variety and variation within the world’s naturally occurring fleece? I can’t think of much, that’s for sure. This club option explores the full range of fiber colors. Each month a different shade of undyed fiber will arrive at your home, begging for you to immediately get it on the wheel. Bright near-white, buttery ecru, fawn, cinnamon, chocolate, gray, oatmeal, chocolate, and near black will stun you with their unadorned (and undyed) beauty. Every month will be a different color, but not every month will be a new fiber source. Shetland, for example, will be represented four times. In addition, non-wool options will make an appearance here as well – camel and yak, to be specific. The color and qualities of those options are not to be missed. Falkland, as the brightest white will make an appearance; so will Jacob, Wensleydale, BFL, and Masham. How you choose to spin these is up to you. Some people enjoy making natural gradients; others love naturally-derived colorwork hats and sweaters. Whatever you create, know that it will showcase all the best of Mother Nature’s variety.